The Baadshaho trailer has packed in all the masala one expects from an Ajay Devgn film, says Syed Firdaus Ashraf. What has kept Ajay Devgn going strong at the box office despite stiff competition from the Khans? As a fan, I would point to two reasons: His eyes and his dialogue delivery. 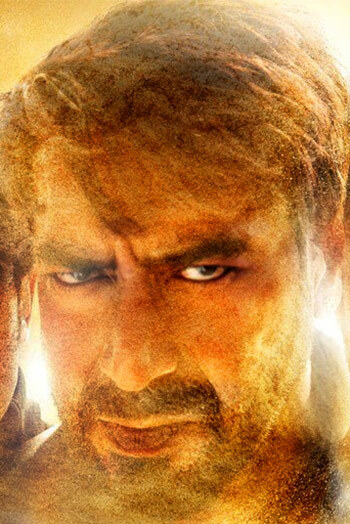 Devgn uses his eyes to emote so well that he leaves all the other actors way behind. The trailer of his new film Baadshaho looks the same way. And that's what makes it promising. His dialogues are just as compelling: 'Waqt tha Emergency ka'. 'Waqt tha kismat badalne ka'. The trailer has packed in all the masala one expects from an Ajay Devgn film. 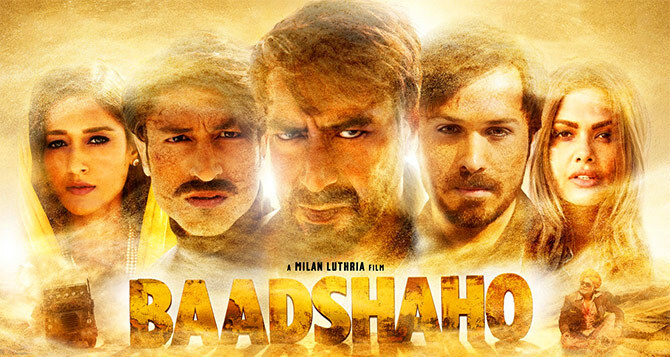 Once Upon A Time in Mumbaai Director Milan Luthria teams up with OUATM stars Ajay and Emraan Hashmi and its writer Rajat Aroraa for Baadshaho. So what's the trailer about? Six 'bad' people -- including Vidyut Jamwal, Sanjay Mishra, Esha Gupta and Ileana D'Cruz -- are on a mission during the Emergency. It looks like a heist, but there seems to be more to it. We'll find out more when Baadshaho releases on September 1. I can't wait to see it.